Perivue Networks has earned Cisco's Advanced Unified Communications Specialization. Experts from the Perivue team can implement Cisco's powerful communication technologies to augment your company's business productivity, simplify management and reduce operational expenses. Collaborate, communicate and succeed with powerful partnerships and resources available through Perivue Networks and Cisco. Is your company collaborating and communicating efficiently? 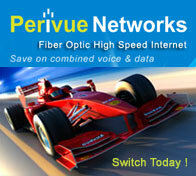 Perivue leads the Los Angeles area for small business IP phone systems and collaboration solutions. Perivue provides Los Angeles fiber optic Internet to companies who want to work faster, smarter and more collaboratively. The necessity of quality small office phone systems often gets overlooked and offices remain equipped with outdated communication equipment, hindering productivity and inflating monthly operational costs. If you’re ready for smarter and more effective equipment in your office—from VoIP for small business to data storage solutions and more — contact Perivue today. Companies in Los Angeles leverage modern VoIP business phone systems provided by Perivue, and enjoy reliable call quality, advanced phone features at a significantly lower cost. Perivue specializes in IP PBX phone system from Cisco, delivering features that overcome the limitations inherent in traditional PBX business phone systems. Installing a small business VoIP phone system minimizes your telecommunications expenses and provides better productivity tools for your company. Perivue’s team of experts deliver high quality IT solutions for businesses like yours. From comprehensive assessment, to design, to installation and the full support of the implemented Cisco phone systems for small business. Our Unified Communications solutions combines a new Cisco VoIP phone system with comprehensive data, wireless and security services to create a seamless access experience for all of your company’s communication needs. We have years of experience with Cisco Business Phone Systems; so you’ll not only receive industry-leading communications services, but also reliable office productivity tools along with unparalleled IT support. Perivue doesn’t just bring you cutting-edge VoIP small business PBX phone systems, we work with you to enhance your business operation by leveraging our end-to-end IT solutions. Perivue is also a leading Los Angeles Internet service provider, data storage specialist and partner for corporate IT consulting. We offer Internet service all across the U.S. Businesses rely on us 24/7 for their high-speed fiber Internet in Los Angeles and all across the U.S. Our unparalleled security and storage solutions are based on industry leader’s products from Cisco and Barracuda. Our IT solutions ensure that your data and network are always safe and operate on fast speed fiber optic Internet lines. 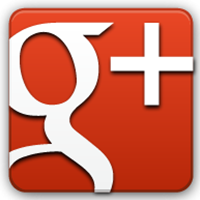 Our support services are unmatched with great reviews from our valuable clients. If you’re ready to take advantage of our communication and IT solutions, running on Cisco small business phone system and enjoy faster and secure high speed Internet, contact Perivue today. At Perivue we believe in building simpler, smarter, better communications systems. Our process starts with finding ways to save you money and make your employees more effective. Simply put, our smart communication solutions are less expensive than traditional PBX solutions. In fact we believe so strongly in our process and programs that we offer a free financial analysis of your internet and phone bills in order to find the best	voice solution for you. Learn how much you can save with Unified Communications! Data Loss Prevention: Protect valuable data, control and monitor network access, and enforce content policies. Prevent in-motion data loss over the web and via email, with policies that include content, context, and destination knowledge. Secure data from unauthorized physical or network access, malware, and end-user	actions. VPN (Virtual Private Network): Connect to your network resources securely from your remote office, home office, or remote internet connection. Build a secure tunnel that	encrypts traffic without comprising performance utilizing Cisco advanced security technologies implemented by Perivue. Increase collaboration with branch offices, remote workers, partners, clients and vendors. Extend your communications throughout your entire wide area	network and empower your traveling executives, sales	force and branches with seamless integration through a secure, private network. PCI Compliance: PCI DSS applies to any company that processes, stores, or transmits credit card information, anywhere in the world. It is not specific	to any industry, and it is not only for publicly traded companies. Build & Maintain a secure network; Protect Cardholder Information; Maintain a Vulnerability Management Program. Implement Strong Access Control Measures; Regularly Monitor and Test Networks; Maintain	an Information Security Policy. Enable peace of mind with a secure network? Communicate without borders: Draw from a portfolio of collaboration capabilities. See when people are online and communicate with them instantly. Chat on ad-free, business-class instant messaging. Start video, VoIP, or WebEx desktop sharing from any chat session instantly. Collaborate on documents or applications during a chat using instant desktop share. - Schedule, manage, and launch meetings from the Microsoft Outlook Calendar. Integrate your WebEx host account so that users can launch WebEx meetings from within WebEx Connect. Collaborate instantly in Team Spaces: Give users throughout	your organization the ability to collaborate with others as part of these collaborative virtual workspaces. Make it possible to	manage projects, communicate, and collaborate with customers or partners in real time. Manage revisions and share those documents with team members inside or outside your corporate	network. Learn how Collaboration can broaden your horizons. Virtualize your Data Center for Immediate Savings! Decrease capital and operational costs through server consolidation, automation and high availability. Enhance IT staff productivity through simplifying management and automating of IT operations. Deliver Always-On IT, ensuring business continuity through high application availability, data protection, and disaster recovery. Increase energy efficiency by running fewer servers and dynamically powering down unused servers with our green IT solutions. Increase your cost savings with Virtualization! Free Network Assessment for a limited time only! Perivue Networks will provide your business with a detailed review of your infrastructure, security, and voice readiness. End-of-Sale / End-of-Life Notices-Are you affected? Perivue reduced their operating expenses for phones and internet by $1,000 per month. Chorus uses Unified Communications to enable all employees to work from home. Receive the latest technology news, monthly incentives and promotions from Perivue.